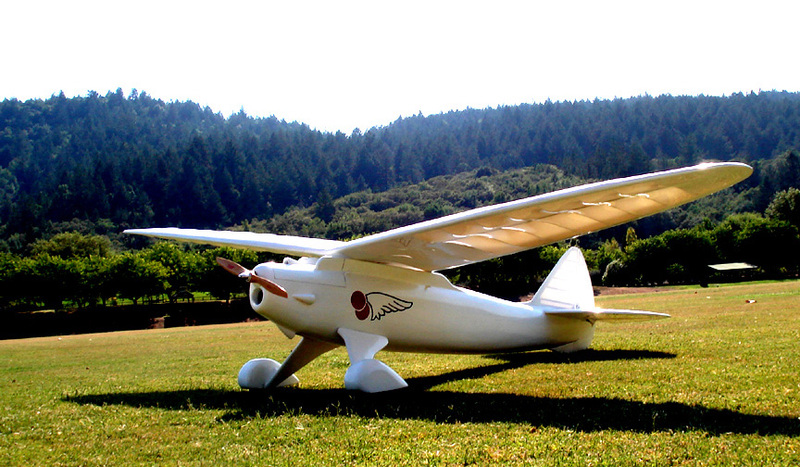 This is Rich's own photo of his version of Snow White, a 96" span 1938 design by Joe Raspante. 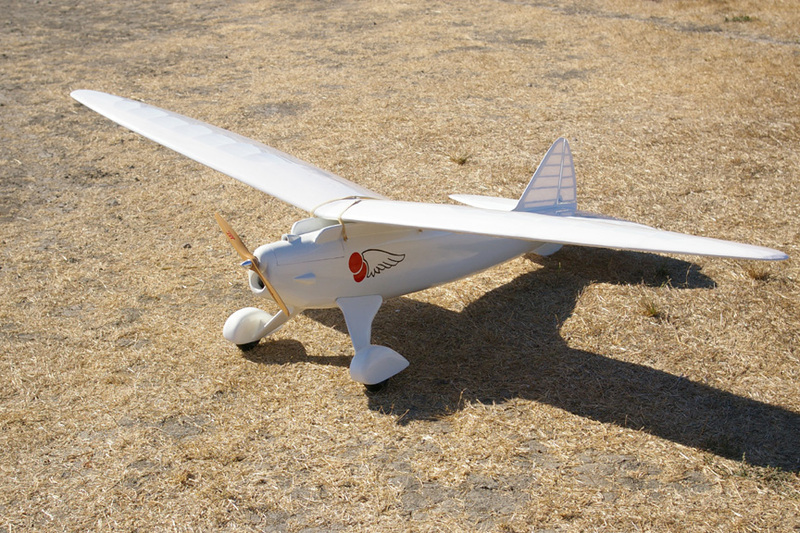 Every line of this plane is designed for elegance and full scale appearance (realism). 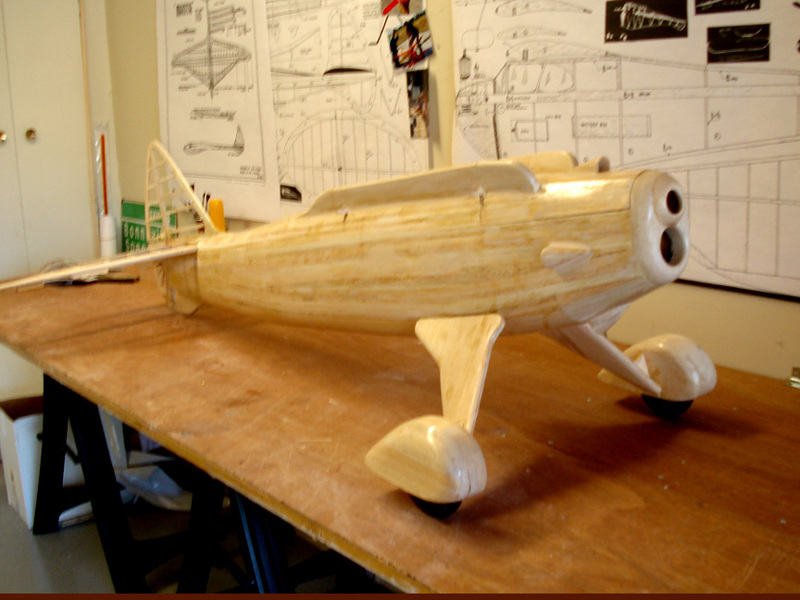 The planked fuselage is a labor of love. Every strip has to be individually tapered, chamfered and fitted. Rich Minnick photo. 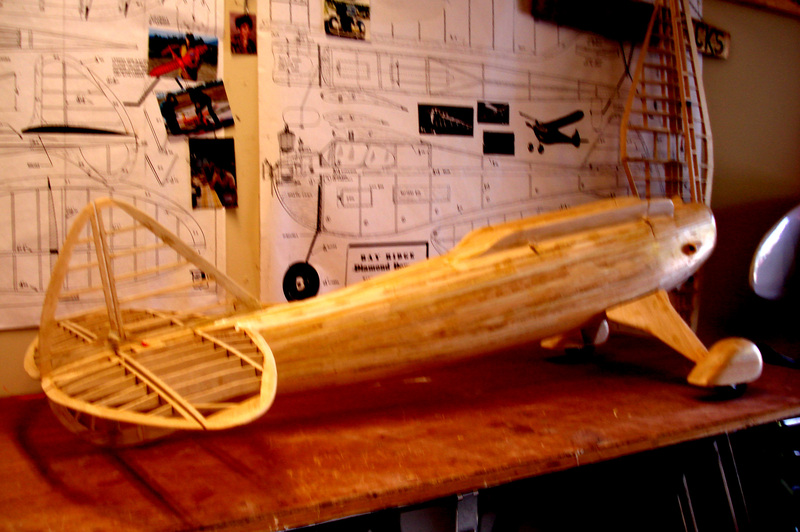 Close up of the cowling for the inverted engine, and the wheel pants.